The holiday cottage of "Jura" can be found in Strontian in Argyll. Sleeping 4 people in 2 bedrooms. The bedrooms are made up of: All ground floor. Two bedrooms: 1 x double, 1 x twin. Bathroom with shower, basin and WC. Open plan living area with kitchen, dining area and sitting area. A family sized holiday cottage near Strontian, Jura could be the one for you. These are the reviews for Jura. There are 14 reviews. Great location as a base for exploring the area. Facilities were fine and kitchen fully equipped. WiFi connection didn’t work but who needs WiFi in an area this beautiful. It seems that this is outwith the owners hands but they are trying to get something done to improve the situation! I wouldn't let this put anyone off renting the property as we had a great relaxing holiday at Dura and didn't want to leave. We are thinking about going back next year!! 20 for a 3 minute ferry crossing, or drive about 40 miles on a single track road to get off the island, also if you want to leave island ferry doesn't run until 6.40 am, but although there is very little to do on island, unless you just want to do walking or biking, once you leave island it's close to facilities at fort William. 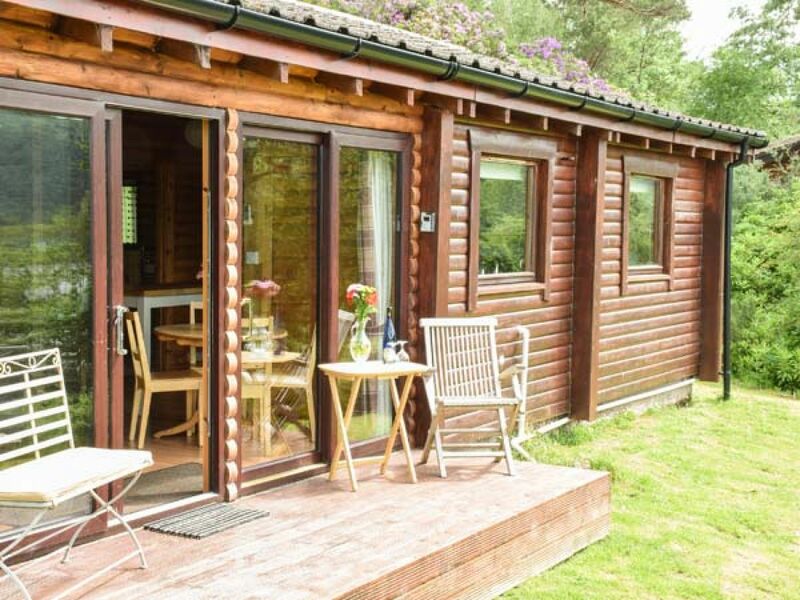 The cabin has been extensively modernised & improved greatly in that time by the new owners. The most peaceful & beautiful place in the UK. We stayed at Jura in April 2018 for our 10th wedding anniversary and it did not disappoint. The log cabin has the most breathtaking views and we were spoiled by the number of birds and other wildlife visiting us outside, unfortunately we did not see the Pine Martens but they do visit and other guests have seen them.The cabin was exceptionally clean, spacious and very comfortable, the kitchen is very well equipped with items perfect for self catering. We received a lovely welcome note and packet of shortbread on arrival with clear information about the cabin and local area. You are really close to some amazing sights Sanna Beach has to be a highlight and The Isle of Mull is very easy to get to. It is truely lovely peaceful and relaxing place and we will definitely be back. The setting and views from the decking are fabulous and really should have more made of them in the property description. The ad does not adequately put across the level of privacy that you get, with only the adjacent property in view when relaxing outside or inside the property. We would definitely return, though I doubt that we would be as lucky with the weather again - 26C all weekend! A must for any wildlife and nature lover with a huge variety of wildlife and walks in spectacular scenery. 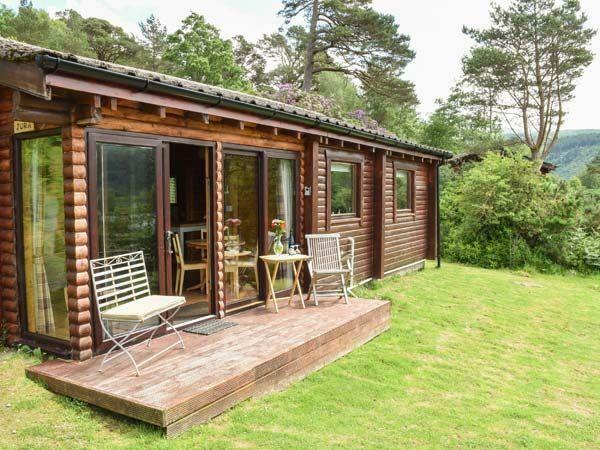 This is such a great property as a base for visiting the Ardnamurchan Peninsula. Clean, comfortable, well equipped and peaceful. The views across Loch Sunart are sublime. Maybe not easy to walk down to if you're infirm or not able to walk down a fairly steep slope. The lodge itself was very clean, has great facilities and is very comfortable. You need to pay for the ferry crossing if you are travelling anywhere further afield, or take the long way round (a beautiful drive). Local shops and restaurants are all good. Very cosy cabin that has every possible amenity you would need. We spent Christmas there and it was a lovely setting. I didn't want to leave!! Would definately book again. Good value for money. Good local facilities, helpful tourist information in Strontian village. Owners could not be contacted. Left 2 messages. Managed to temporarily fix power ourselves but owners never returned our calls. The accommodation was great. We would certainly stay at Jura again. Very well equipped, clean and comfortable. The location was also amazing, what a fantastic view over Loch Sunart, awesome. We are definitely coming back. If you're looking for other cottages around Jura, we've got some cottages below which may take your liking. There are 15 cottages within 10 miles of Jura - and they have reviews too.